Orange County Water District (OCWD) selected MWHC to provide overall construction management and project administration services for GWRS. The $492M project was jointly funded by OCWD and the Orange County Sanitation District (OCSD). This system supports Orange County in achieving greater water independence by purifying highly treated effluent water from the neighboring OCSD treatment facility and using the water as a groundwater replenishment source and a seawater intrusion barrier. 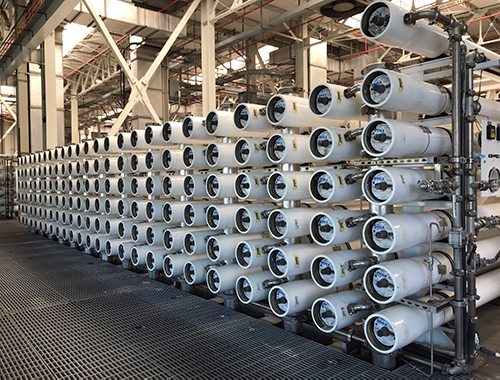 The project included the AWPF, which is one of the world’s most advanced water purification systems, using micro-filtration, reverse osmosis (RO), and ultraviolet disinfection (UV). The GWRS was built in three phases. Advanced Water Purification Facility (AWPF): 70-mgd advanced water treatment plant with pumping stations. Pipeline Units 1-3: 15-miles of 66- to 72-inch diameter welded steel pipeline through 17 micro-tunnels connecting the treatment facilities to existing recharge basins. Seawater Intrusion Barrier Facilities: 1-mile of 30-inch diameter pipeline with 15 recharge wells. Southeast Barrier Pipeline: 9-miles of 12- to 16-inch diameter pipeline with 15 recharge wells. Interim Microfiltration/Site Power Distribution: an 8-mgd Pilot Plant effectiveness of the treatment process. Provides a reliable supply of high-purity, near distilled water, even during drought. Offers more cost-effective and energy-efficient strategies than importing water from distant sources. Creates a hydraulic barrier that prevents seawater intrusion into drinking water wells. Recharges groundwater supplies and minimizes overdraft. Improves water quality in the basin. Reduces the volume of treated wastewater discharged into the ocean and puts it to beneficial use. Reduces the region’s need for imported water.